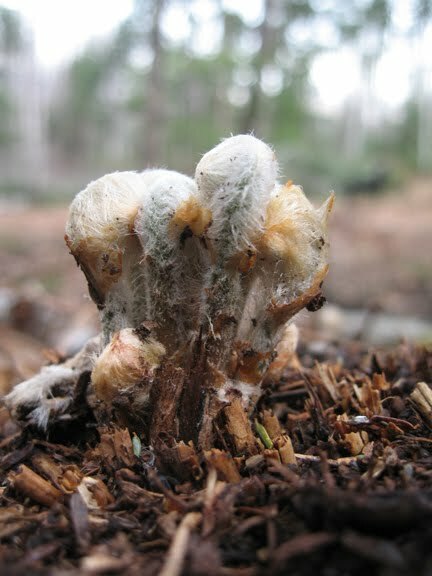 Even though things are crazy in the marketing department at Storey right now, Kristy and I wanted to kick off a new season of Bloom Days with a quick look at what's blooming and pushing through the soil here in Western Massachusetts. The Rhododendron's are just beginning to bloom. 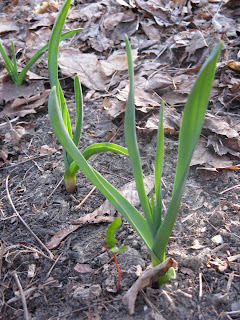 The 20 garlic bulbs I planted in November have sprouted up to about 10" already! 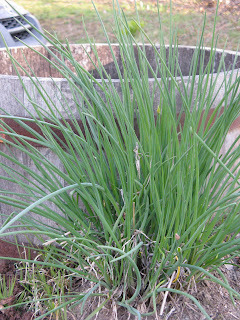 My chives are already finding themselves in recipes. 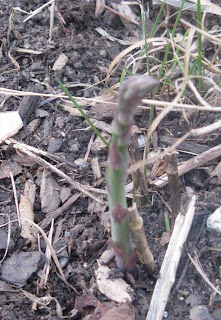 A few asparagus have poked through the dirt. 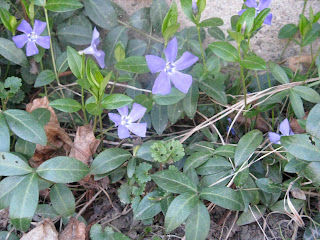 I am unsure what these are, but they have grown along the foundation of my house. Does anyone know their identity? 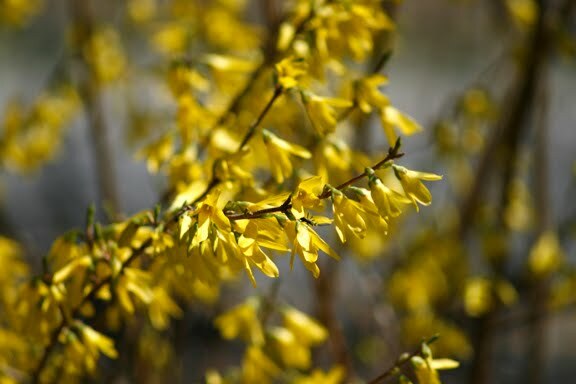 I have 4 or 5 small Forsythia bushes in full bloom. 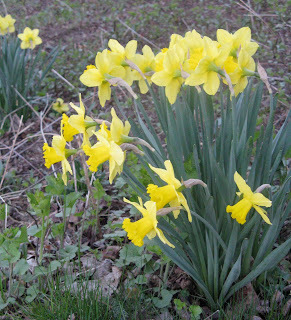 These were started years ago as cuttings taken from the enormous bush I used to play beneath in my parent's yard. 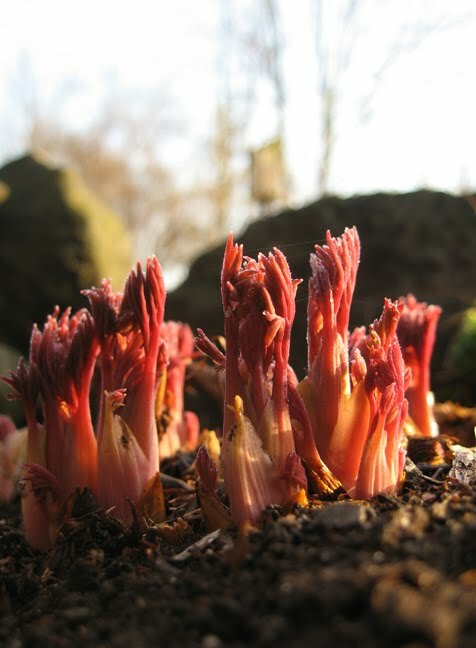 Bleeding Hearts, one of my favorite plants, are emerging from the cold soil. 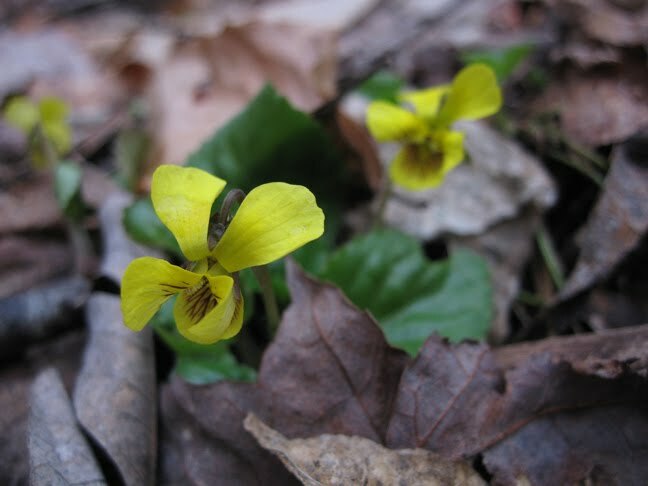 These wild yellow violets grow in the woods. And April is Fiddlehead fern season! 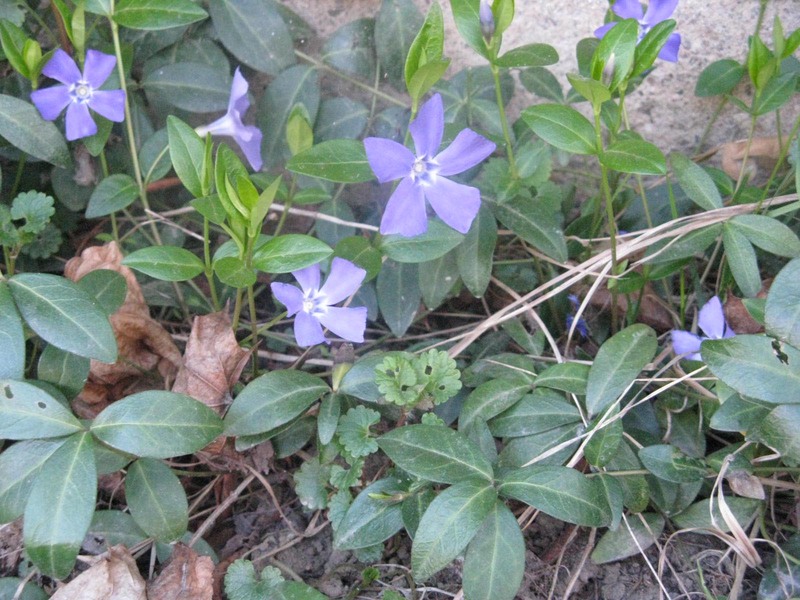 I've already been foraging. Join us on May 15th for our next Bloom Day post! It's so much fun to see little heads popping up out of the ground. 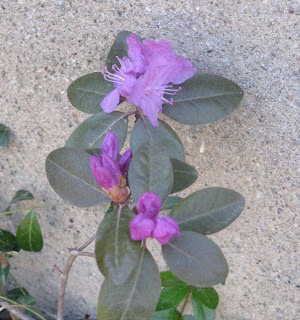 Excitement! Adventure! The bleeding hearts pic is really neat! My mom had one of those she carted around for years from house to house to house!